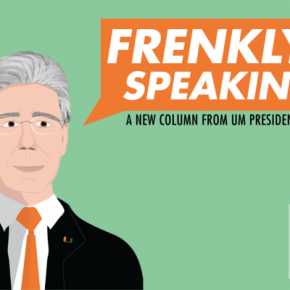 With the Nov. 4 midterm election approaching, the UM College Republicans (UMCR) and UM Young and College Democrats (UMYCD) are connecting with political leaders and hoping to mobilize voters. 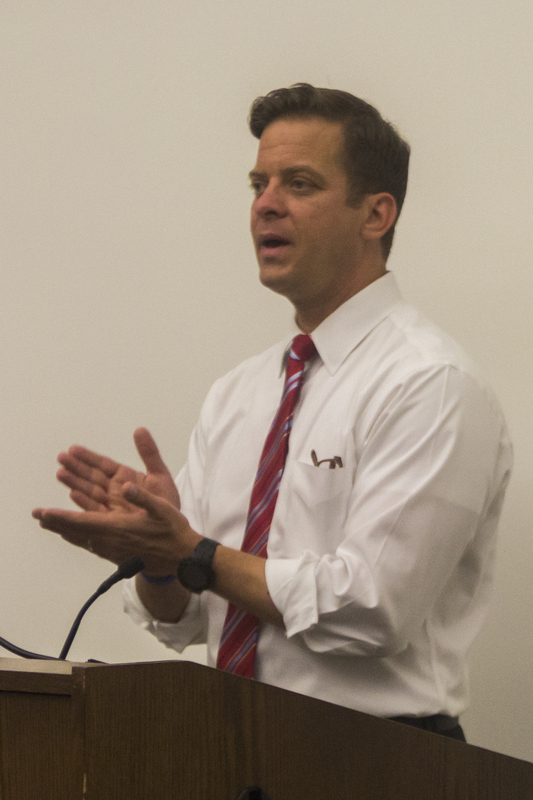 Most recently, the UMCR held a club meeting Monday night featuring a special guest: Florida Lieutenant Governor Carlos Lopez-Cantera. 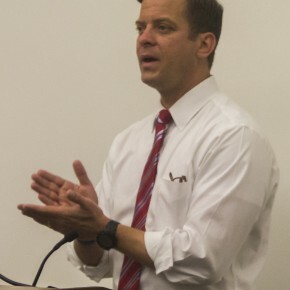 Lopez-Cantera, who graduated from the University of Miami in 1996 with a bachelor’s degree in business administration, is the first alumnus and first Hispanic to serve as lieutenant governor of Florida. The event was a formal UMCR meeting open only to registered club members, as is the standard for club meetings. The Miami Hurricane was invited to attend. According to Public Relations Chair Olivia Escandell for UMCR, this event came about because some members and alumni of the organization have been working on Gov. Rick Scott’s campaign for re-election. Through this connection, Lopez-Cantera contacted UMCR himself, asking to surprise members at a meeting. “We were very thankful to have him come in as a surprise, speaking to us about the importance of getting involved in politics and voting,” Escandell said. The organization kept Lopez-Cantera’s identity secret for one very simple reason. 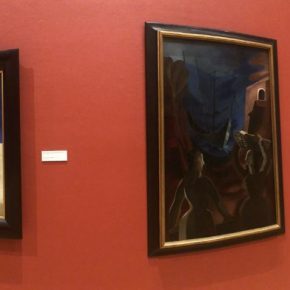 “We really wanted to have Cantera’s appearance be a big surprise to our members,” Escandell said. Lopez-Cantera struck a chord with many listeners, including freshman UMCR member Daniel Reyna. According to Ishtpreet Singh, President of UMYCD, members of UMYCD have also had the opportunity to meet with big-name political figures, both national and local. At the beginning of the semester, some members met with former President Bill Clinton and gubernatorial candidate Charlie Crist himself. Members were later introduced to Annette Taddeo, who ran for Lieutenant Governor under Crist. Two weeks ago, some members attended an event that featured First Lady Michelle Obama. While most members of the two political organizations are registered to vote, voter turnout is typically low for college-aged students. UMCR and UMYCD have made continued efforts to change this and get students to vote in the upcoming midterm. UMYCD has worked “tirelessly” to influence the midterm election, according to Singh. Their efforts began with handing out voter registration and vote-by-mail forms in the UC Breezeway. After the registration deadline, the club contacted surrounding communities through phone-banking and canvassing. Likewise, Escandell said that UMCR members have been knocking on doors and encouraging a large social media presence. “Most importantly, we have been making conversation with our friends, letting them know how important it is for our future that we elect proven Republican leadership this November,” Escandell said. As Nov. 4 draws nearer, Singh says that efforts “are not slowing down.” The organization will host an Early Voting event on Oct. 30 where students of all political affiliations can avoid the long lines of election day. “We really do want to keep students engaged, and we love to make it as easy as possible for students to get out and vote,” Singh said. For more on the midterm election, read The Miami Hurricane’s voters guide in print Monday.